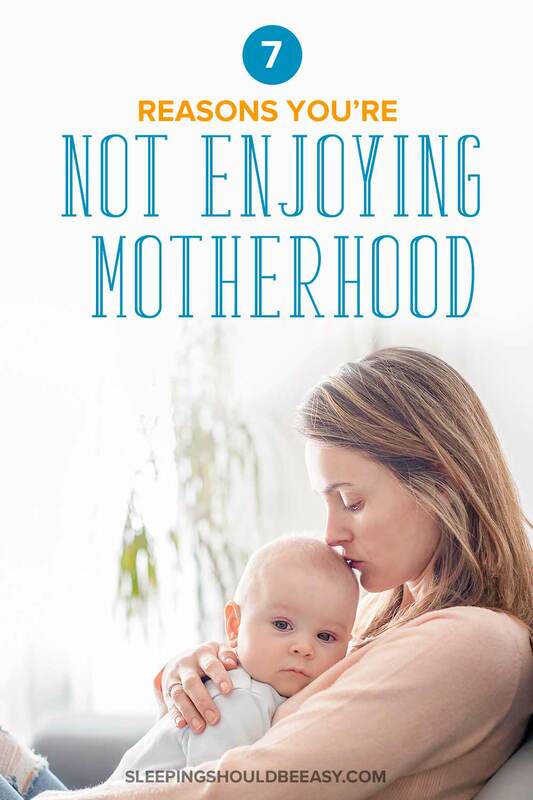 Finding yourself not enjoying motherhood? Discover the 7 reasons parenting has gotten you down about parenthood, and how to turn things around. “I want my old life back,” I blurted to my husband in the middle of the night. I was shocked—then felt ashamed—to admit it out loud. It had been a few weeks since bringing my baby home, and I found myself yet again sleep-deprived with a wailing baby in my arms. I blamed it on the sleep deprivation, but I still felt horrible for not enjoying motherhood the way I thought I would. This was coming from the person who wanted to have a big family, who couldn’t wait to welcome her little guy home. And while I eventually pulled myself through that newborn stage intact, I found myself struggling to enjoy motherhood. But what I’m learning now more than ever, is that the reasons we don’t enjoy motherhood stem deeper than what we often complain about. Sure, on the surface, it seems like motherhood is always hard. The kids talk back, we’re overwhelmed with endless tasks, and life seems to revolve around everyone else but us. But the minute one issue is “solved” (for instance, your child now sleeps through the night), you still find yourself in the same place emotionally… not enjoying motherhood. When you can dig deep into the real reasons you’re not enjoying motherhood, you’ll find that it’s not just about the kids, a hectic life, or a fussy stage. 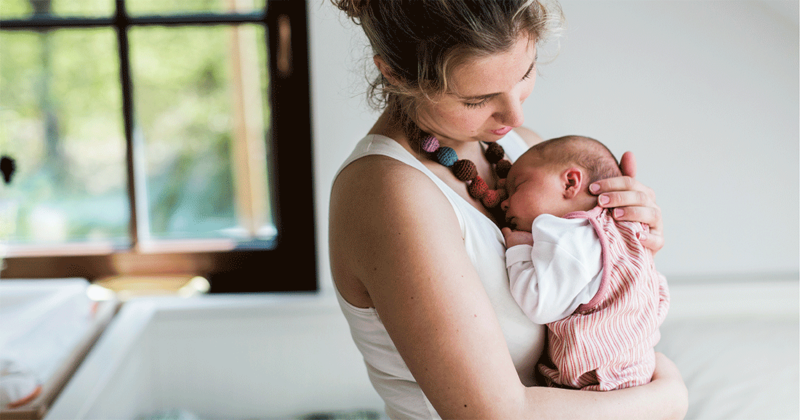 Many of the reasons are rooted in your own habits, beliefs, and thoughts about motherhood. In short, learning how to cope with motherhood starts with your mindset. For instance, if you believe that motherhood is hard, then that belief is already playing itself out in the very actions you do. My son was so excited for his summer camp field trip to the science center. He came dressed in the camp shirt and carrying his brown bag lunch, all ready to go. Except when we got to camp, no one else was wearing the camp shirt. It turned out, we followed an outdated calendar, and that the field trip wasn’t until later in the week. He was clearly uncomfortable being the only one in the shirt and a brown bag lunch. Normally, I would’ve left him to cope with the disappointment, but I too was frustrated, perhaps at my own oversight. So, we went home to fetch a different shirt and lunch. I found myself rushing through traffic, cursing every horrible driver that kept me one second later. I was a horrible example to my little guy, riled with frustration and impatience. Here was my son, teaching me to calm down, perhaps even taking the blame. I learned then, that just because one “bad” thing happens in your day, you don’t have to let it fester. It’s better to let it go, no matter how unfair it feels or how much you want to blame everything on it. Every present moment is a chance to start fresh. You don’t have to rely on what had just happened to determine how you’re going to move forward. When you’re having a bad day, “erase” what had just happened and start over, no matter the time of the day. Don’t wait for the next day for a fresh start—instead, declare your present moment as a new one. 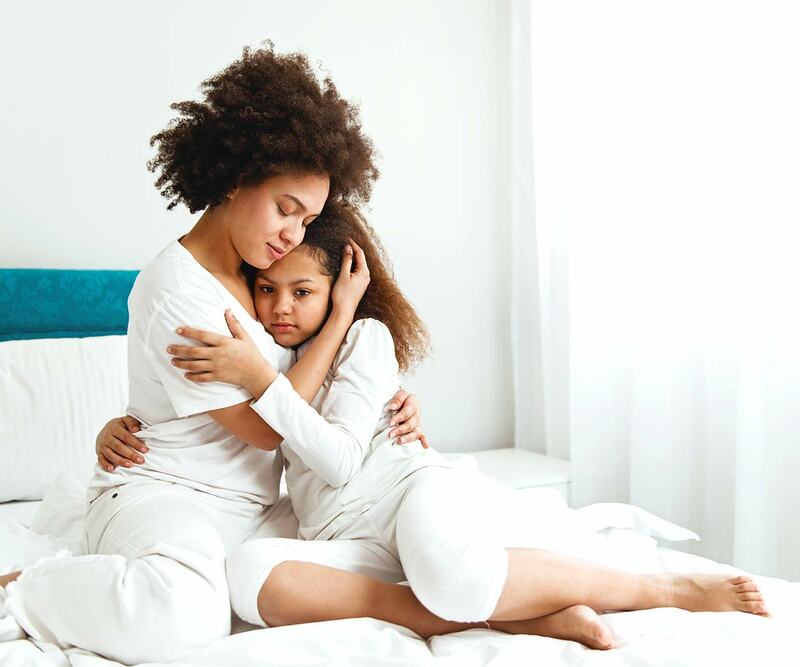 Get more tips on how to recover from a bad parenting day. We’ve all accepted that motherhood is hard because so much of it is true. Balancing the responsibilities of caring for kids with everything else going on in life is hard for nearly every mom. But I want to challenge you here. Assuming motherhood is always hard means you’ll see only the hardships—and little of everything else. After all, not every moment of motherhood is hard. You’ll find yourself laughing with your kids, enjoying a breakfast together, or swelling with love when they run up to you for a hug. The key is to uncover these moments more so in your everyday life. Think of yourself as going on a treasure hunt, on the lookout for pockets of joy in motherhood. Train yourself to find the positive, no matter how simple it may be or how difficult your day has been. This doesn’t mean you ignore the challenges, but you can look at them differently. You might even see them as trying to teach you something, or compel you to take action where you’ve been dragging your feet. The more you see things in a positive light, the more you’ll find yourself enjoying motherhood. Learn more about what makes motherhood hard. Even if you’re not doing anything, your mind may be more than making up for it. 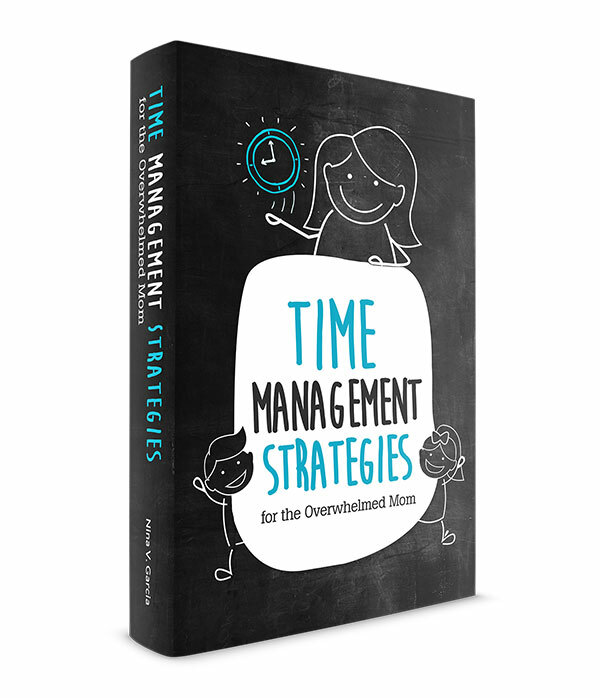 You’re constantly thinking ahead, from what pajamas to set out for the kids to remembering to buy a present for a birthday party. Whether mental or physical, our attention is everywhere, preventing you from enjoying motherhood. And if you’re like me, you feel guilty—even lazy—if you’re not constantly doing or thinking or planning. But this comes at a high price. First, not being present means you’re missing out on the joy unfurling in front of you. It’s hard to enjoy your child when you’re stressed about skipping an important step in the recipe. And second, you’re more likely to blame your kids for interrupting what it is you were doing or thinking. What to do? Plan your time so you’re not doing so much at the same time. This starts by not doing many of the things you’ve been doing, so you have fewer obligations vying for your attention. Then, be more aware of how you feel and behave when you’re with your kids. Focus on the task in front of you, reassuring yourself that it’s not the end of the world if other things don’t get done just now. This doesn’t mean you need to focus on your child 24/7 and nothing else. In fact, he can even learn to wait while you finish that recipe, or you can take intentional time for yourself. Point is, don’t try to do too many things at once, and instead be present in whatever you choose to do in the moment. Get more tips about being a mindful parent. 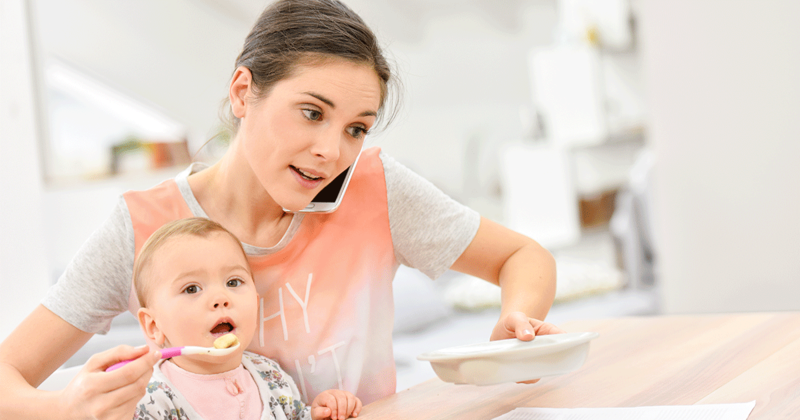 Do you sometimes find yourself venting about motherhood? Maybe it’s about how little the baby sleeps, or how much attitude your toddler has been giving. Perhaps it’s the long hours at work that’s doing you in, or how little help you get with no relatives around. As raw as those emotions may be, one key person is missing: yourself. But in doing so, you relinquish your power to your circumstances—to other people or situations that, at the end of the day, you have no control over. Instead, focus on the role you play in the situation. Be responsible for your own actions (or inaction), and consider what you can do moving forward to turn things around. When you do that, you’ll be reclaiming the power you’ve given to others, allowing you to make actual changes instead of waiting for others to do it for you. This doesn’t mean you blame yourself for everything—we have enough of that going on among moms. Instead, it’s about doing what you can and being responsible for yourself. We’ve all had our expectations squashed by the harsh truth of reality. Maybe it was when you brought the baby home and you never realized how often babies woke up in the middle of the night. Or the fun family hike you imagined turned out to be a tantrum from hell. Anytime your expectations don’t match the eventual reality, you stop enjoying motherhood. And it’s easy to harp on those moments, isn’t it? We tend to remember our hard days more than our good ones, even inflating them a bit. But whenever expectations and reality don’t line up, we tend to feel miserable about the outcome. What can you do? What you should definitely not do is to set low expectations. Going on a family hike and expecting it to go terrible will only make that more likely to happen. Instead, be grateful, even in those challenging moments. Yup, right when you want to throw a pity party is when you need to find something to be grateful for. You might look at the big picture and be grateful your baby is in your life. Or you might be grateful that the weather was nice, even if your toddler threw a fit. Gratitude always shifts you back to a joyful place when you can stop focusing on what went wrong, and focus instead on what you have right. Check out how your expectations about life with a newborn compares to reality. Did I ever tell you that time when I planned to have two kids, except that second kid turned out to be twins? You can imagine how that threw the control freak in me for a loop. Demanding control over everything is bound to backfire. Children especially are notorious for reminding us that we, at the end of the day, don’t control them at all. That in fact, the only person we can control is ourselves, and how we respond, behave, and think. Over the years, I’ve learned to let go of controlling the situation… especially over circumstances or people I clearly can’t control. Instead, I now embrace the idea that whatever happens in my life is there to help me grow. Any curve ball thrown my way is exactly where it should be so that I can be a better person. One of the best ways to realize this is to embrace the mistakes, glitches, and imperfection of motherhood. Stop trying to have things be just so. Sure, plan for it, but also be flexible to respond intentionally when things don’t always go according to plan. We’re not talking about being comedic here, although that helps. Taking yourself too seriously means anything from overthinking to being stiff to not being willing to laugh about things. In the moment, your child not wanting to poop in the potty can seem like the worst thing ever, but in hindsight… it’s just poop, right? The next time she’s being silly about brushing her teeth, be silly along with her. Change your face so it looks warm and loving, not irritated or blank. Shrug the fact that you’re going to be late for preschool drop off anyway—might as well have fun singing to the songs on the radio. It’s easy to point to the many challenges we face, those that many would agree make enjoying motherhood more difficult. We’re sleep-deprived. We have too many things and tasks to remember and do. No relatives live nearby to help. The kids are either cranky or crying, and on and on. 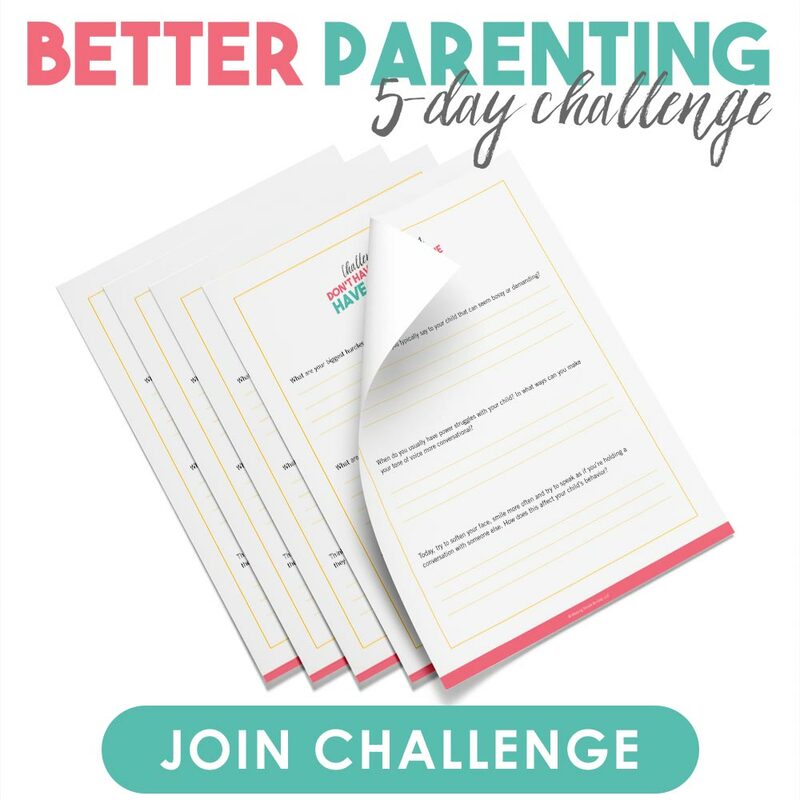 But I want to challenge you to think differently about enjoying motherhood. Don’t let that one moment ruin the rest of your day, and be present with your kids. Be grateful for what has turned out great, and responsible for the role you play in your life. Let go of wanting to control everything. Instead, laugh and go with the flow when things don’t go according to plan. And most important, don’t expect motherhood to always be hard—because it truly doesn’t have to be. You may not have your old life back, and that’s okay. You just might find yourself enjoying motherhood too much to want it back anyway. Did you like this article about enjoying motherhood? Share it on Pinterest and Facebook!